Michael O’Neill is Professor of English. He was Head of Department from 1997 to 2000 and from 2002 to 2005. From 2005-11, he was a Director (Arts and Humanities) of the Institute of Advanced Study (IAS) at Durham University; he served as the Acting Executive Director of the IAS from January 2011 until May 2012. He is a Founding Fellow of the English Association, on the Editorial Boards of the Keats-Shelley Review, Romantic Circles, Romanticism and Victorianism on the Net, Romanticism, The Wordsworth Circle, and CounterText, Chair of the International Byron Society's Advisory Board and Chair of the Wordsworth Conference Foundation. In 2005 he established and is Director of an intra-departmental research group working on Romantic Dialogues and Legacies. Professor O’Neill has published on Romantic literature, especially the work of Percy Bysshe Shelley, on Victorian poetry, and on an array of British, Irish, and American twentieth- and twenty-first-century poets. His research has concentrated on questions of literary achievement and of poetic influence, dialogue, and legacy. Books published relatively recently include (with Michael D. Hurley) Poetic Form (CUP, 2012), and, co-edited with Anthony Howe and with the assistance of Madeleine Callaghan, The Oxford Handbook of Percy Bysshe Shelley (2013; paperbacked 2017). He is the co-editor (with Mark Sandy and Sarah Wootton) of two volumes from Pickering & Chatto: Venice and the Cultural Imagination (2012) and The Persistence of Beauty: Victorians to Moderns (2015). His third collection of poems Gangs of Shadow was published by Arc in 2014 and his fourth collection of poems Return of the Gift appeared from the same publisher in 2018. His edited collection of essays John Keats in Context came out from Cambridge University Press in 2017, and in the same year The Romantic PoetryHandbook, co-authored with Madeleine Callaghan, was published by Wiley Blackwell. Professor O'Neill is writing a book on Shakespeare and English Poetry for OUP. He is an associate editor on the multi-volume Johns Hopkins edition of Shelley's poetry. The third volume appeared in 2012 and received the 2013 Richard J. Finneran Award from the Society for Textual Scholarship. He is co-editing (with Timothy Webb) The Prose of Percy Bysshe Shelley 1818-1822 for OUP. This project was awarded an MHRA Research Associateship (holder Dr Paige Tovey) for 2010-11 and 2011-12. Professor O’Neill has received the following awards for his poetry: an Eric Gregory Award in 1983 and a Cholmondeley Award from the Society of Authors in 1990. He has successfully supervised research degrees on Shelley (Mary as well as Percy Bysshe); P. B. Shelley and Keats; Romantic Poetry and Wallace Stevens; Romantic Literature and Dream Poetry; Victorian Medievalism; Elegy in Douglas Dunn and Tony Harrison; The Great War and Irish Poetry; Olive Schreiner; Hart Crane's poetry; John Montague's poetry; a study of Yeats, Byron, and Shelley; the Decadent Image in 1890s poetry; the responses of Wordsworth and Coleridge to Shakespeare; Gary Snyder and Romanticism; narrative and identity in Keats's poetry;voice and reception in Tennyson, Browning and other Victorian poets;the influence of Calderón and Goethe on Shelley; Wordsworth's unachievable style, 1797-1805; lyric individuality in Clare, Hopkins, and Edward Thomas; John Clare and 'the Art of "Is"'; Silence in P. B. Shelley, Robert Browning, W. B. Yeats, and T. S. Eliot; nostalgia and homesickness in Emily Brontë; Coleridge's legal reflections, 1794-1797; and vital instability in the poetry of Byron and Shelley. He is happy to supervise postgraduates in any area of his research interests. O'Neill, Michael (2018). Return of the Gift [Poems]. Arc. O'Neill, Michael & Callaghan, Madeleine (2017). The Romantic Poetry Handbook. Wiley-Blackwell. O'Neill, Michael (2014). Gangs of Shadow. Arc Publications. Hurley, Michael D. & O'Neill, Michael (2012). Poetic Form: An Introduction. Cambridge Cambridge University Press. Reiman, Donald H. Fraistat, Neil Crook, Nora Curran, Stuart O'Neill, Michael Neth, Michael J. & Brookshire, David (2012). The Complete Poetry of Percy Bysshe Shelley, volume 3. The Johns Hopkins University Press. (2008). Wheel (poems). Todmorden: Arc. Hebron, S., Bindman, D. & O'Neill, M. (2007). Dante Rediscovered: From Blake to Rodin. Grasmere: The Wordsworth Trust. O'Neill, M. & Mahoney, C. (2007). Romantic Poetry: An Annotated Anthology. Oxford: Blackwell. 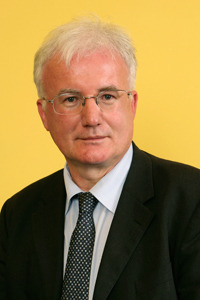 O'Neill, M. (2007). The All-Sustaining Air: Romantic Legacies and Renewals in British, American, and Irish Poetry since 1900. Oxford: Oxford University Press. O'Neill, M. (2004). A Routledge Literary Sourcebook on the Poems of W.B. Yeats. London: Routledge. Leader, Z. & O'Neill, M. (2003). Percy Bysshe Shelley: The Major Works: including Poetry, Prose, and Drama.. Oxford: Oxford University Press. O'Neill, M. & Reiman, D.H. (1997). Fair-Copy Manuscripts of Shelley's Poems in European and American Libraries. New York: Garland. O'Neill, M. (1997). Romanticism and the Self-Conscious Poem. Oxford: Clarendon Press. O'Neill, M. & Reeves, G. (1992). Auden, MacNeice, Spender: The Thirties Poetry. Basingstoke: Macmillan. O'Neill, M. (1990). The Stripped Bed. London: Collins Harvill. O'Neill, M. (1989). Percy Bysshe Shelley: A Literary Life. Basingstoke: Macmillan. O'Neill, M. (1989). The Human Mind's Imaginings: Conflict and Achievement in Shelley's Poetry. Oxford: Clarendon Press. O'Neill, Michael (Forthcoming). 'Like a Flash of Inspiration': Byron's Marginalised Lyricism in Hebrew Melodies. In Byron and Marginality. Lennartz, Norbert Edinburgh UP. O'Neill, Michael (2018). 'Pictures’ and ‘Signs’ Creative Thinking in Shelley’s Prose, 1816–21. In Thinking Through Style: Non-Fiction Prose of the Long Nineteenth Century. Hurley, Michael D. & Waithe, Marcus Oxford University Press. 70-86. O'Neill, Michael (2017). Anatomizing Casuistry: Shelley's *The Cenci* and the Fate of Analysis. In Romantic Ambiguities: Abodes of the Modern. Domsch, Sebastian, Reinfandt, Christoph & Rennhak, Katharina Wissenschaftlicher Verlag Trier. 169-180. O'Neill, Michael (2017). Narrative and Play: Byron's *Beppo* and Shelley's *The Witch of Atlas*. In Narratives of Romanticism. Heinen, Sandra & Rennhak, Katharina Wissenschaftlicher Verlag Trier. 177-93. O'Neill, Michael (2017). Shelley Prometheus Unbound. In A Handbook to the Reception of Classical Mythology. Zajko, Vanda & Hoyle Helena Wiley Blackwell. 407-417. O'Neill, Michael (2017). The Lyric. In Handbook of British Romanticism. Haekel, Ralf Berlin: De Gruyter. 6: 183-200. O'Neill, Michael (2016). ‘A Wilderness of the Most Rare Conceits’ Imagining Politics in the English Cantos of Don Juan. In Byron: The Poetry of Politics and the Politics of Poetry. Beaton, Roderick & Kenyon Jones, Christine Abingdon, Oxon: Routledge. 144-156. O'Neill, Michael (2016). ‘One of the Dumms’ Edward Lear and Romanticism. In Edward Lear and the Play of Poetry. Williams, James & Bevis, Matthew Oxford: Oxford University Press. 51-69. O'Neill, Michael (2016). Eliot: Form and Allusion. In The New Cambridge Companion to T.S. Eliot. Harding, Jason Cambridge University Press. 26-40. O'Neill, Michael (2016). Poetry and autobiography in the 1930s: Auden, Isherwood, MacNeice, Spender. In A History of English Autobiography. Smyth, Adam New York, NY, USA: Cambridge University Press. 331-344. O'Neill, Michael (2015). 'Ode: Intimations of Immortality from Recollections of Early Childhood'. In The Oxford Handbook of William Wordsworth. Gravil, Richard & Robinson, Daniel Oxford University Press. 237-253. O'Neill, Michael (2015). 'Stars Caught in My Branches': Swinburne and Shelley. In Decadent Romanticism: 1780-1914. Boyiopoulos, Kostas & Sandy, Mark Ashgate. 103-118. O'Neill, Michael (2015). 'Wrecks of a Dissolving Dream': Shelley's Art of Ambivalence in Hellas. In The Neglected Shelley. Weinberg, Alan M. & Webb, Timothy Farnham, Surrey: Ashgate. 239-260. O'Neill, Michael (2015). Bound by Such a Chain: Shelley and Rhyme. In Publishing, Editing, and Reception: Essays in Honor of Donald H. Reiman. Edson, Michael University of Delaware Press. 77-95. O'Neill, Michael (2015). English Poetry, 1900-1930. In William Wordsworth in Context. Bennett, Andrew Cambridge University Press. 69-77. O'Neill, Michael, Sandy, Mark & Wootton, Sarah (2015). Introduction. In The Persistence of Beauty: Victorians to Moderns. O'Neill, Michael, Sandy, Mark & Wootton, Sarah Pickering & Chatto. 1-14. O'Neill, Michael (2015). The Difficulty of Beauty: Hopkins, Yeats, Hart Crane, Spender. In The Persistence of Beauty: Victorians to Moderns. O'Neill, Michael, Sandy, Mark & Wootton, Sarah Pickering & Chatto. 117-133. O'Neill, Michael (2014). 'The Same Rehearsal of the Past: Byron and the Aesthetics of History and Culture'. In Rethinking British Romantic History, 1770-1845. Fermanis, Porscha & Regan, John Oxford University Press. 205-222. O'Neill, Michael (2014). Cleaving Nothing from Nothing: Post-Romantic Negation and Affirmation in Don Paterson. In Don Paterson: Contemporary Critical Essays. Pollard, Natalie Edinburgh University Press. 61-74. O'Neill, Michael (2014). Form in The Tree House and 'Even If'. In Kathleen Jamie: Essays and Poems on Her Work. Ed. Rachel Falconer Edinburgh University Press. 103-111, 83. O'Neill, Michael (2013). 'Moments and subtleties and shadows of grey': reflections on the narrative mode of Fools of Fortune. In William Trevor: Revaluations. Delaney, Paul & Parker, Michael Manchester Manchester University Press. 110-124. O'Neill, Michael. (2013). Shakespearean Poetry and the Romantics. In The Oxford Handbook of Shakespeare's Poetry. Post, Jonathan. Oxford: Oxford University Press. 563-581. O'Neill, Michael (2013). The Romantic Bequest: Arnold and Others. In The Oxford Handbook of Victorian Poetry. Bevis, Matthew Oxford: Oxford University Press. 217-234. O'Neill, Michael. (2013). The Thirties Bequest. In The Oxford Handbook of Contemporary British and Irish Poetry. Ed. Peter Robinson. Oxford: Oxford University Press. 38-56. O'Neill, Michael (2013). Yeats. In W. H. Auden in Context. Sharpe, Tony Cambridge Cambridge University Press. 276-285. O'Neill, Michael (2012). 'Yeats, Clarke, and the Irish Poet's Relationship with English'. In The Oxford Handbook of Modern Irish Poetry. Brearton, Fran & Gillis, Alan. Oxford University Press. 42-57. O'Neill, Michael. (2011). '"A Kind of an Excuse": Shelley and Wordsworth Revisited'. In Literature and Authenticity, 1780-1900. Chantler, Ashley, Davies, Michael & Shaw, Philip Ashgate. 51-66. O'Neill, Michael. (2011). '"Admirable for Conciseness and Vigour": Dante and English Romantic Poetry's Dealings with Epic'. In Dante in the Nineteenth Century: Reception, Canonicity, Popularization. Havely, Nick. Lang. 11-29. O'Neill, Michael. (2011). 'The Romantic Sonnet'. In The Cambridge Companion to the Sonnet. Cousins, A. D. & Howarth, Peter Cambridge University Press. 185-203. O'Neill, Michael. (2011). ‘Romantic and Victorian Poetry’. In T. S. Eliot in Context. Harding, Jason. Cambridge University Press. 200-210. O'Neill, Michael. (2011). Realms without a Name: Shelley and Italy’s Intenser Day. In Dante and Italy in British Romanticism. Burwick, Frederick & Douglass, Paul Palgrave Macmillan. 77-91. O'Neill, Michael (2010). 'A curved adventure’ Romanticism and the Poetry of Anne Stevenson. In Voyages over Voices: Critical Essays on Anne Stevenson. Leighton, Angela Liverpool University Press. 98-115. O'Neill, Michael. (2010). 'Early Yeats: "The Essences of Things"'. In W. B. Yeats. Larrissy, Edward. Irish Academic Press. 31-47. O'Neill, Michael. (2010). 'The Outset of Life': Shelley, Hazlitt, the West Country, and the Revolutionary Imagination. In English Romantic Writers and the West Country. Roe, Nicholas Palgrave Macmillan. 257-70. O'Neill, Michael. (2010). ‘Mournful Ditties and Merry Measures: Form and Feeling in the Romantic Short Lyric and Song’. In A Companion to Romantic Poetry. Mahoney, Charles Wiley-Blackwell. 9-24. O'Neill, Michael. (2010). Romantic re-appropriations of the epic. In The Cambridge Companion to the Epic. Bates, Catherine. Cambridge University Press. 193-210. O'Neill, Michael. (2009). 'Beautiful but Ideal': Intertextual Relations between Letitia Elizabeth Landon and Percy Bysshe Shelley. In Fellow Romantics: Male and Female British Writers, 1790-1835. Lau, Beth. Farnham: Ashgate. 211-229. O'Neill, Michael. (2009). 'Fond of What He’s Crapping On’ Movement Poetry and Romanticism. In The Movement Reconsidered: Essays on Larkin, Amis, Gunn, Davie, and Their Contemporaries. Leader, Zachary. Oxford: Oxford University Press. 270-291. Heys, Alistair. & Kostadinova, Vitana. (2009). 'In the Sea of Life Enisled’ Byron and Arnold, in Byron and the Isles of Imagination: A Romantic Chart, ed. Alistair Heys and Vitana Kostadinova (Plovdiv: Plovdiv University Press, 2009), 66-86. In Byron and the Isles of Imagination: A Romantic Chart. Plovdiv: Plovdiv UP. 66-86. O'Neill, Michael. (2009). 'The Wheels of Being’ Tennyson and Shelley. In Tennyson among the Poets: Bicentenary Essays. Douglas-Fairhurst, Robert. & Perry, Seamus. Oxford: Oxford UP. 181-198. O'Neill, Michael. (2009). Coleridge's Genres. In The Oxford Handbook of Samuel Taylor Coleridge. Burwick, Frederick. Oxford: Oxford UP. 375-391. O'Neill, Michael. (2009). Emulating Plato: Shelley as Translator and Prose Poet, in The Unfamiliar Shelley, ed. Alan M. Weinberg and Timothy Webb (Aldershot: Ashgate, 2009), 239-55. In The Unfamiliar Shelley,. Weinberg, Alan M. & Webb, Timothy. Aldershot: Ashgate. 239-255. Andrew Radford & Mark Sandy (2008). ‘Infinite Passion’ Variations on a Romantic Topic in Robert Browning, Emily Brontë, Swinburne, Hopkins, Wilde, and Dowson. In Romantics Echoes in the Victorian Era. Aldershot: Ashgate. 175-189. O'Neill, M. (2007). '"Conscript Fathers and Shuffling Recruits” Formal Self-Awareness in Romantic Poetry'. In Romanticism and Form. Rawes, A. Basingstoke: Palgrave Macmillan. 23-39. O'Neill, M. (2007). '"The Latch-String of a New World's Wicket": Poetry and Agency in Death's Jest-Book; or, The Fool's Tragedy'. In The Ashgate Research Companion to Thomas Lovell Beddoes. Berns, U. & Bradshaw, M. Aldershot: Ashgate. 33-47. O'Neill, M. (2006). 'The All-Sustaining Air': Yeats, Stevens, Rich, Bishop -- Responses to Romantic Poetry. In The Monstrous Debt: Modalities of Romantic Influence in Twentieth-Century Literature. Davies, Damian Walford. & Turley, Richard Marggraf. Detroit: Wayne State University Press. 143-162. O'Neill, M. (2006). Stevens's “Esthétique du Mal”, Evil, and the Romantic Imagination. In Religion and Romanticism from William Cowper to Wallace Stevens. Hopps, G. & Stabler, J. Aldershot: Ashgate. O'Neill, M. (2005). 'The Muse at Her Toilet': Patrick Kavanagh's Late Sonnets. In Representing Ireland: Past, Present and Future. O'Malley-Younger, A. & Beardow, F. Sunderland University Press. 133-142. O'Neill, M (2003). 'Even Now While I Write': Leigh Hunt and Romantic Spontaneity. In Leigh Hunt: Life, Poetics, Politics. Nicholas Roe London: Routledge. Routledge Studies in Romanticism 2: 135-155. O'Neill, M. (2003). ‘The Tears Shed or Unshed’ Romantic Poetry and Questions of Biography. In Romantic Biography. Bradley, A. & Rawes, A. Aldershot: Ashgate. 1-17. O'Neill, M. (2001). 'Lyrical Ballads and "Pre-Established Codes of Decision"'. In 1800: The New 'Lyrical Ballads'. Trott, N. & Perry, S. Basingstoke: Palgrave. 123-140. O'Neill, M. (2001). Romantic Workings of Genre: Lyrical Ballads and Prometheus Unbound. In Generi Letterari: Ibridismo e Contaminazione. Sportelli, A. Laterza: 168-183. O'Neill, Michael (2017). John Keats in Context [Contains, by O'Neill, 'Introduction' (1-5); 'Prosody and Versification in the Odes'(198-206); 'Contemporaries (1)(and immediate predecessors') (229-237); 'Hardy, Edward Thomas, Stevens, Bishop' (291-299).]. Cambridge University Press. O'Neill, Michael, Howe, Anthony & with the assistance of Callaghan, Madeleine (2013). The Oxford Handbook of Percy Bysshe Shelley. Oxford Handbooks. Oxford University Press. O'Neill, Michael & Callaghan, Madeleine (2011). Twentieth-Century British and Irish Poetry: Hardy to Mahon. Wiley-Blackwell. O'Neill, Michael. (2010). The Cambridge History of English Poetry. Cambridge Cambridge University Press. (2009). (ed.with Ash Amin), Thinking about Almost Everything. London: Profile. O'Neill, M. & Sandy, M. (2006). Romanticism: Critical Concepts in Cultural and Literary Studies. London: Routledge. O'Neill, M. (1998). Literature of the Romantic Period: A Bibliographical Guide. Oxford: Clarendon Press. O'Neill, M. (1997). Keats: Bicentenary Readings. Edinburgh: Edinburgh UP for the University of Durham. O'Neill, M. (1994). 'The 'Defence of Poetry' Fair Copies.'. The Bodleian Shelley Manuscripts. New York: Garland. O'Neill, Michael (2017). Gleams and Dreams: Reflections on Romantic Rhyme. Romanticism23(2): 123-132. O’Neill, Michael (2017). Reflections on the Poetic. CounterText3(2): 203-218. O'Neill, Michael (2016). ‘The Changed Measures of Light’ Post-Romanticism and Geoffrey Hill's Difficult Revelations. Romanticism22(3): 331-340. O'Neill, Michael (2016). Turning to Dante: Shelley's Adonais Reconsidered. Journal of Anglo-Italian Studies13-14: 1-20. O'Neill, Michael (2015). Poetic Education: Wordsworth, Yeats, Coleridge, Shelley. The Wordsworth Circle46(2): 79-86. O'Neill, Michael (2014). 'Materials for Imagination': Shelleyan Traces in Felicia Hemans's Poetry after 1822. Women's Writing21(1): 74-90. O'Neill, Michael (2014). Ebb and Flow in The Excursion. The Wordsworth Circle45(2): 93-98. O'Neill, Michael (2014). Reading Shelley. Shelley studies22: 13-15. O'Neill, Michael (2013). 'Without a Sigh He Left': Byron's Poetry of Departure in *Childe Harold's Pilgrimage*, Cantos I and II. The Byron Journal41(2): 115-125. O'Neill, Michael (2012). “Anxious Cares” From Pope’s Spleen to Coleridge’s Dejection. Studies in the Literary Imagination44(1): 99-118. [Rpt. in Poetry Criticism, ed. Lawrence J. Trudeau, vol. 184, Gale Cengage, 2017, pp. 72-82.]. O'Neill, Michael (2012). Shelley's Defences of Poetry. The Wordsworth Circle43(1): 20-25. O'Neill, Michael (2012). What Thou Art: Emily Brontë’s Visionary Religion. Bronte Studies37(4): 366-372. O'Neill, Michael. (2011). '"Visions Rise, and Change": Emily Brontë's Poetry and Male Romantic Poetry'. Bront� Studies36: 57-63. O'Neill, Michael. (2011). 'Antipathy and Sympathy: Lamb's Response to Shelley, Byron, and Keats'. Charles Lamb Bulletin n.s (154. ): 89-99. O'Neill, Michael. (2011). 'Southey and Shelley Reconsidered'. Romanticism17: 10-24. O'Neill, Michael. (2011). 'Telling Stories: Southey and Romantic Narrative'. The Wordsworth Circle42: 33-38. O'Neill, Michael. (2011). ‘"A Double Face of False and True": Poetry and Religion in Shelley'. Literature and Theology25 : 32-46. O'Neill, Michael (2009). ‘"A Deeper and Richer Music": Felicia Hemans in Dialogue with Wordsworth, Byron and Shelley'.[rpt. in Volume 291 Nineteenth-Century Literature. Criticism of the Works of Novelists, Philosophers, and Other Creative Writers Who Died between 1800 and 1899, from the First Published Critical Appraisals to Current Evaluations ed. Lawrence J. Trudeau (Gale Cengage 2014), 174-80]. Charles Lamb Bulletin145: 3-12. O'Neill, Michael. (2009). ‘"Admirable for Conciseness and Vigour" Dante and Romantic Epic'. Journal of Anglo-Italian Studies10: 15-27. O'Neill, Michael. (2009). ‘Something Intended, Complete’ Yeats and the Remodelled Self, in a special issue of the e-journal Romanticism and Victorianism on the Net 51 (2009), guest ed. Mark Sandy and Sarah Wootton. Romanticism and Victorianism on the Net51. O'Neill, Michael. (2008). '"The Fixed and the Fluid": Identity in Byron and Shelley'. Byron Journal36(2): 105-116. O'Neill, Michael. (2008). ‘"The Inmost Spirit of Light": Shelley and Turner'. Turner Society News109; 110: 7-12; 6-8. O'Neill, M. (2007). '"Driven as in Surges": Texture and Voice in Romantic Poetry'. The Wordsworth Circle38(3): 91-93. O'Neill, M. (2007). '"The Tremble from It Is Spreading": A Reading of Wordsworth's "Ode: Intimations of Immortality"'. The Charles Lamb Bulletinnew series 139(July 2007): 74-90. O'Neill, Michael. (2007). 'Inspiration Is Inspiration': In Memory of Robert Woof and Jonathan Wordsworth. European Romantic Review18(2): 283-297. O'Neill, Michael (2006). 'So Lightly, Beautifully Built': Tennyson's Palaces of Art. Tennyson Research Bulletin8:5: 319-330. O'Neill, M. (2006). A Magic Voice and Verse: Byron's Approaches to the Ode: 1814-1816. The Byron Journal34(2): 101-114. O'Neill, M. (2006). Fashioned from His Opposite: Yeats, Dante and Shelley. Journal of Anglo-Italian Studies (8): 149-171. O'Neill, M. (2006). The Burden of Ourselves: Arnold as a Post-Romantic Poet. Yearbook of English Studies36(2): 111-127. O'Neill, M. (2005). The Gleam of Those Words: Coleridge and Shelley. Keats-Shelley Review (19): 76-96. O'Neill, M. (2004). 'Only What Might Have Been': Lamb and Illusion. The Charles Lamb Bulletin (128): 96-107. O'Neill, M (2004). ‘Adonais and Poetic Power’. The Wordsworth Circle35(2): pp. 50-7. O'Neill, M. (2002). 'The Whole Mechanism of the Drama': Shelley's Translation of the Symposium. Keats-Shelley Review (18): 51-67. Pembroke College, Cambridge: BA (1990), MA (1994), PhD (1998); Procter Visiting Fellow, Princeton University, 1991-1992; Junior Research Fellow, Fitzwilliam College, Cambridge, 1995-1996; Fellow and Tutor, Emmanuel College, Cambridge, 1996-2002; Fellow and Tutor, Magdalen College, Oxford, 2002-present. In 2015 I was elected a Fellow of the Royal Society of Literature. Most of my teaching is in the period 1700-present; this means that I teach Victorian and Modern Literature in the first year of the undergraduate course (together with literary theory and practical criticism), Romantic period literature in the second year, and a number of special options in the final year. I have published widely in the field of nineteenth-century literature. Becoming Dickens: The Invention of a Novelist (Harvard University Press, 2011), was featured on ‘The Review Show’ (BBC2), and won the 2012 Duff Cooper Prize; it was also selected as a book of the year in the Irish Times, Library Journal, New Statesman, Sunday Times, Daily Telegraph, TLS, and Wall Street Journal, and was an Editor’s Choice in the New York Times. My most recent book, The Story of Alice: Lewis Carroll and the Secret History of Wonderland (Harvill Secker; Harvard University Press, 2015) was featured on Start the Week (BBC R4) and BBC1 Breakfast, and serialised as Book of the Week on BBC R4 read by Simon Russell Beale. Other TV and radio work includes ‘Mrs Dickens’s Family Christmas’ (BBC1), ‘Lingua Franca’ (ABC Radio National Australia) and ‘The Charlie Rose Show’ (PBS). I am a regular reviewer and features writer on books and film for the Daily Telegraph, Times, Spectator, Guardian, and TLS; in 2012-13 I also wrote a monthly column for the Oxford Times. In the past I have worked as a consultant on BBC adaptations of Jane Eyre (2006), Emma (2009), and Great Expectations (2011), and in 2015-16 I was a consultant on the 20-part BBC1/Red Planet series ‘Dickensian’. Recent essays include work on I. A. Richards, Pope, tragedy, address, rhythm, Tennyson, Beckett, Dickens, and FitzGerald.